The oceanic explorations of the 1490s led to countless material innovations worldwide and caused profound ruptures. 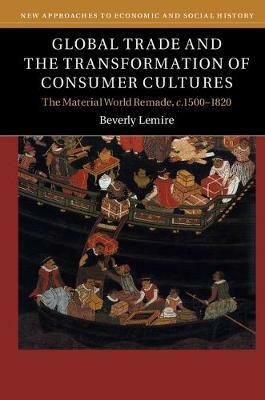 Beverly Lemire explores the rise of key commodities across the globe, and charts how cosmopolitan consumption emerged as the most distinctive feature of material life after 1500 as people and things became ever more entangled. She shows how wider populations gained access to more new goods than ever before and, through industrious labour and smuggling, acquired goods that heightened comfort, redefined leisure and widened access to fashion. Consumption systems shaped by race and occupation also emerged. Lemire reveals how material cosmopolitanism flourished not simply in great port cities like Lima, Istanbul or Canton, but increasingly in rural settlements and coastal enclaves. The book uncovers the social, economic and cultural forces shaping consumer behaviour, as well as the ways in which consumer goods shaped and defined empires and communities.